This is an insight written by Margo Shear on a lecture given by Dr. Mehnaz Afridi as part of the Bahá’í Chair series on human nature. This is an insight written by Esther Kaufman on the lecture given by Dr. Valerie Maholmes and Dr. Lauren Abramson as part of the Bahá’í Chair for World Peace series on Structural Racism. Insights: Non-violence as an effective strategy? This is an insight written by Esther Kaufman on the lecture given by Professor Kathleen Cunningham as part of the Bahá’í Chair for World Peace series on Leadership and Global Governance. Non-violence as an influential strategy? Interview with Professor Kathleen Cunningham, interview conducted by Dr. Kate Seaman. 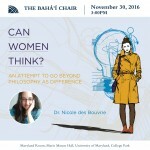 Upcoming Event: Can Women Think? This is a reflection written by Esther Kaufman on the lecture given by Dr. Rashawn Ray as part of the Bahá’ì Chair for World Peace series on Structural Racism. Interview with Dr. Rashawn Ray, interview conducted by Brandie Reeder Williams. Dr. Ray will be giving a lecture on the 25th of October in Hoff Theatre, Stamp Student Union, University of Maryland. 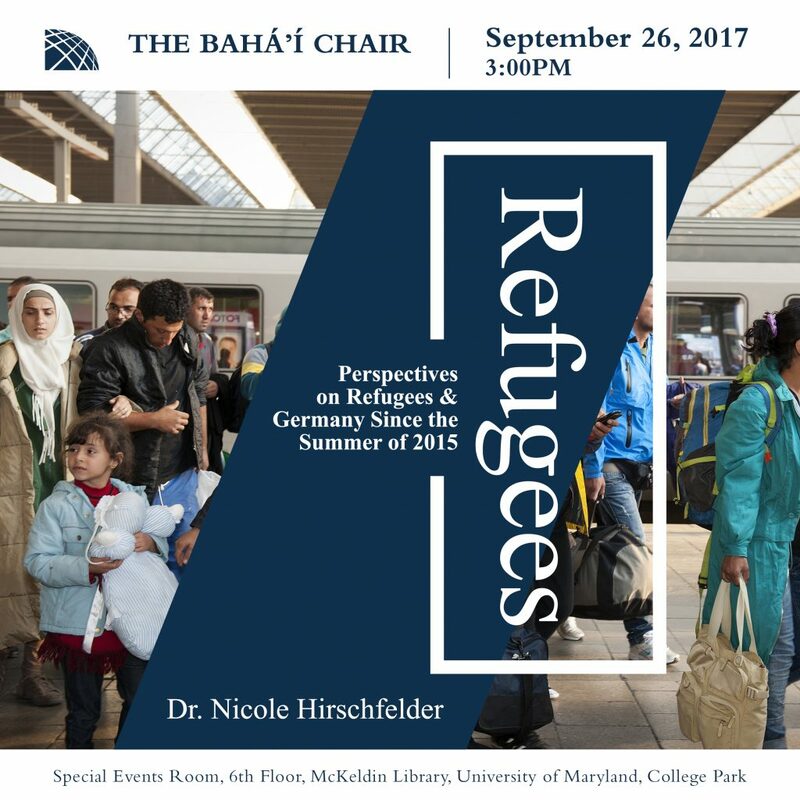 To find out more and to RSVP visit the website of the Bahá’í Chair for World Peace. Upcoming Event: Why are children so important?